I work on Staff level roles, focussing on payroll, customer service, sales support, graphic designers and marketing coordinators. I also provide general administrative support in the OCG office. 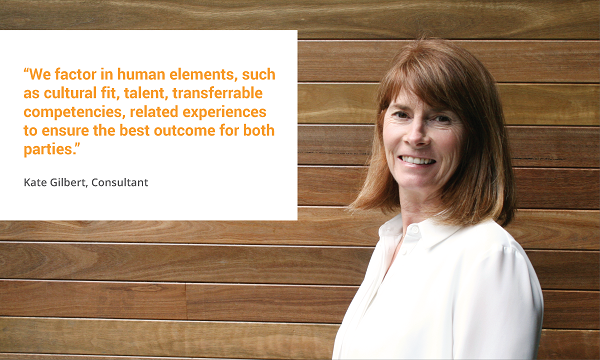 I believe it stands for a genuine passion for people – both our candidates and clients. We work in a demanding industry dealing with people’s livelihood, at an important time in both our candidate’s and client’s lives. OCG is different because we value the individual. We avoid matching candidates to job descriptions based on skill sets and salary requirements – we factor in human elements, such as culture fit, talent, transferable competencies, related experiences to ensure the best outcome for both parties. We personalise our approach to recruiting, with both our clients and candidates. We are Trusted Advisors who communicate with our candidates and build a strong rapport with our clients. The football team you support and why you go for them? Sydney Swans, purely because my husband and family do. I enjoy watching my kids play sport and it’s always been a big part of our family weekends, so I always support their teams too.